As everything good, vacay season also has an end (buu!). But don’t let you down and get some motivation, you want to start fresh & ready this school year. That's why we create some tips that we’re sure your school days will be better by following them. 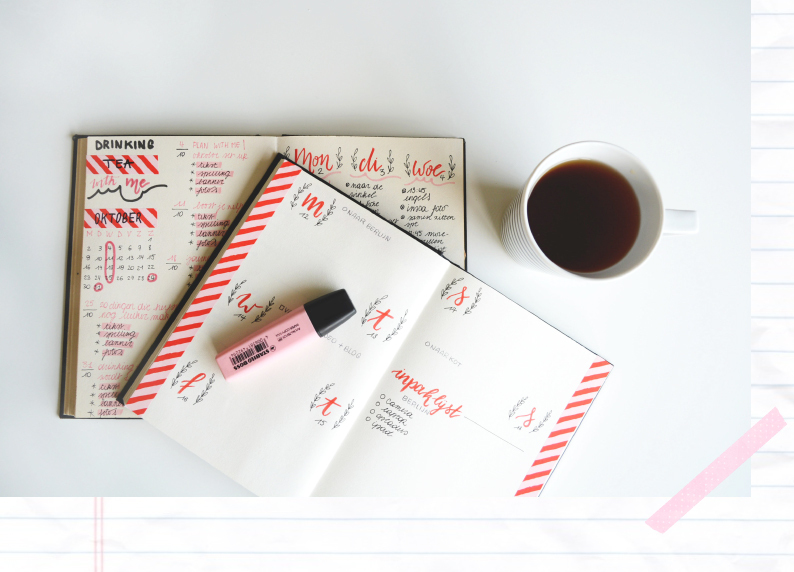 Let’s start this new cycle with an organizer version of ourselves, and nothing better than a bullet journal… sounds boring but is one of the most fun and relaxing things to do and at the same time you’re organizing your schedule, ideas and more. As bulletjournal.com says; A Bullet Journal is a customizable and forgiving organization system. It can be your to-do list, sketchbook, notebook, and diary, but most likely, it will be all of the above. It will teach you to do more with less. 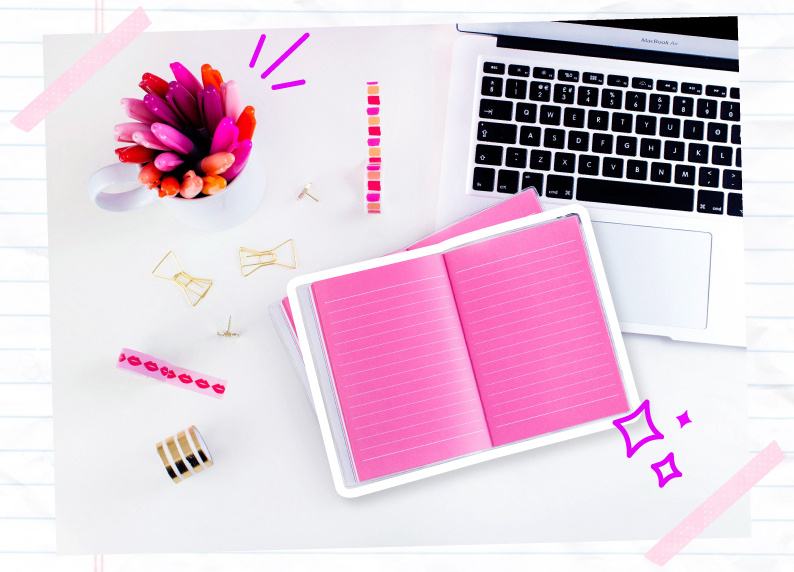 As easy as it sound, you only need a notebook and a pen to start, then you can decorate your ideas with pencil colors, markers, washi tape, etc. It’s up to you and your creativity. I don’t know about you but I’m the type that won’t have a productive day if my outfit is just “meh”! So I tried a pair of the CYSM Push-up Jeans to see if they can change my view on denim bottoms. They exceeded my expectations on abdomen-control, even though I bought them mainly because of the booty-lifting promise they came with. I absolutely love how round and perked-up my bottom looks in these jeans, while the compressive high-rise waistband keeps all my extra-inches in check throughout the day! You can try them too and make thousands of different combinations with them, they go with graphic tees, to flirty blouses! Having cute and colorful supplies are our best friends, they made a more fun experience and you’re gonna keep your notes clean and organized. Shopping for school supplies is actually really fun, and now there are so many cute notebooks, pens, and planners to buy! Try to be a little bit more social, find some people to talk with, this would be an amazing key, because if someday you have some homework questions or had to miss a class, you can count on someone and the same for them. This will help you to make an study group and make this experience nicer and less boring. Also get involved by looking at the list of after school activities and join some team. This not only will look good on your resume, but it is another way to meet people. Healthy habits makes a huge difference. To be healthier will help you to boost your energy and keep you awake. Have you checked out our smoothies recipes? We think they’re gonna be useful, because they’re not only fastest to make, but also they’re delicious and low carbs. Also, try by making a new exercise, how about for short distances using your bike instead of the car? Vacay’s out, but that doesn’t mean we’re going to stop bumping all of the party bangers and jams that we’ve been loving in the summer. That’s why we created a playlist that will help you from starting the day to study and concentrate better. Because we think, everything's better with a lot of music! The school year will fly past and soon you will be heading off to another stage. Take time to meet new people, participate in after school activities and study hard. Good luck!